We all know America loves to drink. But in all our time spent writing about drinking, actually drinking, and occasionally doing both at the same time, a question emerged amongst Thrillist's editorial staff: which state loves to drink more than any other? 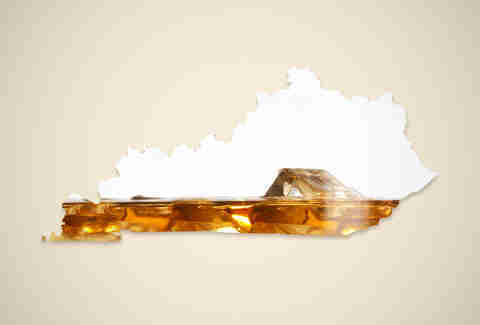 Naturally, we had to find out, and just like that: the search for the booziest state in the USA was born. To help keep this study fair & balanced, we turned off Fox News, put our closely held editorial opinions on the shelf, and turned to the data. Well, actually, we tapped Chris Kolmar, who is Movoto.com's "Chief Armchair Economist" (and, by way of disclosure/coincidence, also a buddy of mine from high school). He turned to the data, churning out spreadsheet after boozy spreadsheet to tabulate 10 alco-criteria -- from per-capita craft breweries to last-call hours -- on which all states in the Land of the Free would be measured. 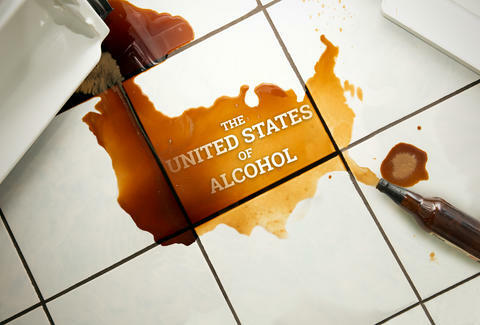 The result is a statistically infallible, 50th-to-1st ranking of the United States of drinking. We laid it out in a map (below) to tell the story of this country's wettest & driest states interactively; hover over the (+) to catch top-line stats, plus anomalies Chris discovered while pulling the numbers together. Next, there's the full 50-to-1 ranking itself -- scroll down to see which state can rightfully claim the title of the USA's Booziest State. Finally, take a look at our methodology via a brief interview with Chris about finding & manipulating the data. Roll over the interactive map above for more info on how each state gets down! The Natural State didn't clock any worst-in-category numbers, but when you're tied for second-lowest per-capita gallons consumed (1.81) and sell sauce six days a week... well, that dog just won't hunt. Two-tenths of a craft brewery per 100,000 people?! That's the lowest ratio in the country. Turns out the Delta blues are just what every boozehound feels when visiting this forsaken place. And... welcome back to the Southeast. The home state of Tip "T.I." Harris and frat bros who wear fishing clothes as real clothes actually boasts a not-terrible number of craft distilleries (ten!). Unfortunately, it's also tied for third-last in craft breweries and only drinks more gallons o' hooch than eight other states. The Vols have been terrible for, like, ever at this point, but even consistent institutional failure hasn't driven enough Tennesseans to drink. And no sales on Sundays?! Charleston, consider seceding -- but just from the state this time. Save Cigar City and a few others, Florida's got a dreadful craft brewery scene for a big state -- just 0.5 per 100,000 Floridians. Sure, Miami's got bottle-popping pool parties, but the rest of the Sunshine State is hardly on the same page. Just one more reason to skip it on your next vacation. There's no such thing as alcoholic pork roll (... yet), and without it The State We All Hate is a barren, boozeless wasteland, with roughly the same per-capita craft breweries as Alabama. Alabama! Six under-21 exemptions kept it from an embarrassing ranking, but beyond River Horse, there aren't many real bright spots in the Garden State. VA hosts an incredible number of wineries, and Stone Brewery having just selected Richmond as the location for its East Coast operations, Virginia's booze future is looking sweet. 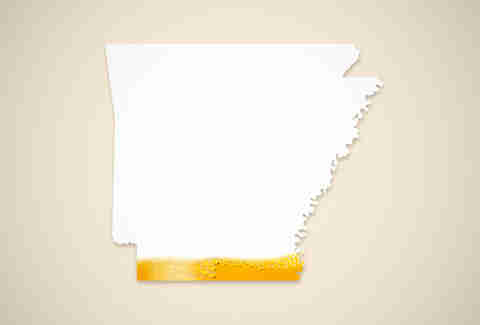 Finally, a state ranking that's impervious to the 50th state's beauty. Take that, you laid-back bastards! For all its liquor lore, (and being home to some of the best distilleries in the world), you’d think they’d have more bars per person than a place like Oklahoma (which is No. 42 on this list). Hailed by beer geeks across the country as the next-next craft beer capital, Cackalacky's 1.3 craft breweries per 100,000 includes both household names like Sierra Nevada (their Eastern seaboard facility sits in Fletcher) and prestige makers like Fullsteam, Highland, and Mother Earth. Don't wait 'til Sunday morning to buy your tailgate liquor -- sales don't start 'til noon down here. The desert heat means there's really never a bad time to sip a refreshing adult beverage, which may be why Lobos crush about 2.36 gallons-worth every year. Annoying New England blue laws aside, the Constitution State's got some decent wineries within its borders, plus Stratford's somewhat-new neckbeard favorite, Two Roads Brewery. With producer numbers lower than Lake Pontchartrain in July, the Big Easy eked out this damn-respectable position by drinking 2.6 gallons per capita/year, and picked up big points off five (5!) underage exemptions. Plus, y'know... Bourbon Street. There're plenty of reasons to avoid Arizona (scorpion, meet shoe), but beer isn't one of them. The Grand Canyon State's got an incredible density of brewpubs & full-blown breweries like Four Peaks, Barrio, Sonoran, and more. Despite being the second-smallest state in the Union, Blue Hens are the second-biggest drinkers by per-person volume, which is kind of -- strike that, completely insane. No wonder Dogfish Head is doing so well! The Bear Republic's obvious claim to fame is its vineyards, and holy hell does it have a lot more of 'em than the rest of us (it outranks its nearest competitor, Washington, by about, oh, 2,700). 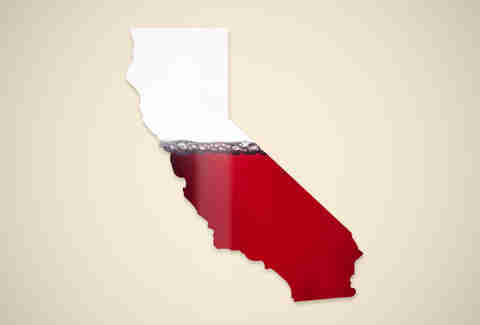 But it also leads the country when it comes to booze's economic impact, and houses some of the country's favorite craft Meccas like Stone & Russian River, plus impossible-to-ignore international heavies like Anheuser-Busch. Despite absolutely arcane beer-selling regulations -- why with the six-packs & cases, guys? -- PA actually turned in impressive numbers. Well done, sons & daughters of Penn! "OH!? IO!" is something screamed incessantly by Buckeye Staters who've been drinking heavily. There was no way to work this into our statistical analysis, so we're just telling you now. The Commonwealth didn't put up any stellar numbers, but it drank its way into a solid result in pretty much every category. Despite the fact that they close at stupid times, IL's bar game is strong. Three underage exemptions and a sixth-overall economic impact kept it safely in the top 25. The ancestral home of light beer also serves as America's boozy epicenter, dividing the sober Southeast from the great sodden plains of the Midwest & Pac-Northwest. According to New England lore, the Granite State's slogan was originally "Live free, die, or just drink everyone under the table", but that didn't fit on statehouse stationery. That's not true, but this is: because of its comparatively low state liquor taxes, a big influx of frugal drinkers from surrounding states slightly pad NH's sales stats. Not only does Rhode Island have an impressive ratio of places for people to drink vs. people to drink in places -- when they're in those places, the average Ocean Stater mauls through hooch to the tune of 2.72 gallons annually. Again, nothing too fancy here -- just plenty of loopholes for "cool" Moms. With the 15th-most bars per capita and landing in a three-way tie for 10th-most gallons consumed, Idaho probably could've climbed even higher on this list if not for its zero -- not a single one! -- exceptions to underage drinking. Low population, high drinkability. That's the SoDak way. 2,004 wineries and vineyards, 34 craft distilleries, a whopping $2 billion in craft brewery-related economic impacts, the third-largest population in the country, plus the nation's highest concentration of substance-addled finance bros pounding vodka-sodas 'til last call?! Done deal. Um... not only does NoDak dominate in bars-per-drinker, but it also landed third overall for gallons consumed. More mind-blowing: the Beer Institute calculates that NoDak residents drink just over a pint of beer a day on average. Whoa. Allagash, Shipyard, Maine Brewing, Peak Organic... the list goes on & on, long enough to break Mainers into the top 10. Of course, 2.65 gallons of alcohol per capita didn't hurt. You know that barely anyone lives here (50th in population), but did you know the people who do call the Cowboy State home are so stubborn that it was the absolute last state that bent to federal demands to raise the legal drinking age to 21? Now you do. But enough about states' rights -- on to the drink! Founded in 1994, Snake River Brewing Co. in Jackson is the state's oldest, but despite its relatively young craft scene, our squarest state still has 4.3 craft breweries per 100,000. Between that, the very good small-batchers at Wyoming Whiskey, and a populace that puts back 2.67 gallons per capita, this place is inhabited by anything but squares. For every 100,000 Washingtonians who think Black Sheep was an unfair portrayal of their fair state, there are four craft breweries pumping out suds to take the edge off. Wineries? Second only to California. Washington would've gone higher but for its pedestrian alcohol consumption: 2.25 gallons per capita, the lowest of any state in the top 10. In most of our columns, Vermont had barely anything going for it (except for per-capita consumption, where it places seventh). But then, we hit breweries. When you think about how small Vermont is compared Oregon -- the overall leader in craft breweries per 100,000 -- it's mind-blowing that the Green Mountain State is just a 10th of a point away from winning the category outright. Magic Hat, Otter Creek, Harpoon, and Long Trail are VT-based or -produced labels with strong regional distribution, but the harder-to-get prize is Alchemist's Heady Topper, a chrome-canned double IPA so coveted there's an actual black market for it. Well done, Vermont. Well done indeed. North Dakota's next-door neighbor is nipping at its heels in the bars-per-drinker category, and Montanans, like North Dakotans, can flat-out drink -- they pound more alcohol each year than 44 states. The Big Sky State's big advantage is its craft breweries: 5.3 per 100,000. 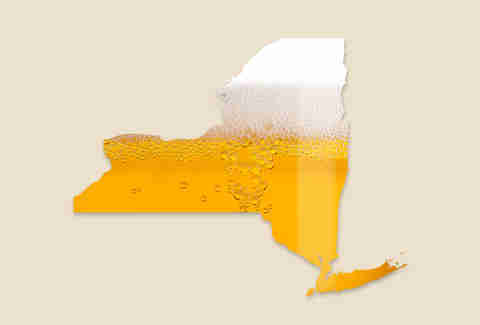 Seward's Folly aside, the 49th State is a promised land for the serious drinker. It's got plenty of breweries, residents drink more alcohol than 90% of the country, and a last call that would make even Manhattan yawn. ... Oregon came along. It should be noted that our entire editorial staff (except for Kryza, who lives in Portland and likes to tell people about it) was actively rooting against Big O in this ranking. It leads any booze-related national conversation on the strength of its unassailably dense beer scene, but OR's also third in wineries, fifth in distilleries, and 13th in bars per capita. 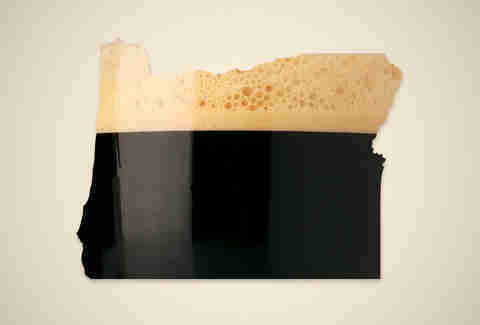 Oh, did we mention craft beer and wine alone account for $4.6 billion in economic impact each year, and Oregonians drink 2.65 gallons of booze? Because it does, and they do. Basically, it's a big, boozy bully, and we wanted to take it down a peg or several. 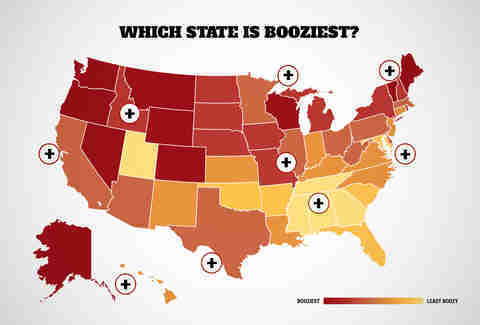 But the numbers don't lie -- The Beaver State is America's Booziest. Obviously, a ranking like this is only as strong as the data on which it's built. To explain exactly how we got said data, I interviewed Chris before & after he put together our master spreadsheet of boozy states. In selecting criteria to measure each state, Chris told me that his team "tried to make it like an argument at a bar. If you’re arguing with your friends on a Saturday night, we thought about the things you’d bring up to make your case." Of course, "there are some standards, like bars per capita", he explained, as well as volume drank, which he based off each state's per-capita intake of ethyl alcohol (basically the purest available volume reading for booziness). Chris also looked to Facebook to make sure he was on the right track. "Breweries per capita is higher in pretty much every state than distilleries or wineries, and when we checked the Facebook data [the number of residents per state who like "Beer" and "Wine"], that made sense to me.” Facebook didn't sound like a solid source to me, so I pressed him on its accuracy. "It sounds weird, but because such a large portion of the population is on [Facebook], it’s actually a really good indicator," countered Chris. Then he sent me links to The New York Times' Upshot blog, which also relies on the social platform for some of its numbers. I pretty much shut up after that. We wanted to stay away from alcohol-related felony and medical data, because that stuff is no fun, and this story is supposed to be fun. But as for the underage exemptions? "We were doing the research to see when last call was, and that just kinda came up," explained Chris. "We were intrigued to see how many states had these exceptions -- it's usually something about drinking with parents or in the home." Distilleries, wineries & vineyards: Here, we relied on individual state's government sites and distillery and winery/vineyard association sites to get our data. Despite all the data-collecting & number-crunching, the fact remains that "booziness" is barely even a word, much less a quantifiable mathematical concept. We knew that going into this project, and we know it coming out. 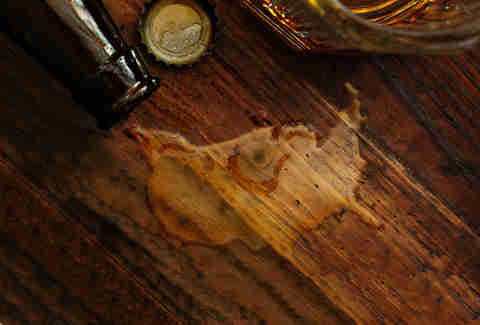 But even if you don't agree with the individual ranking of your state, or have qualms with a specific data column, we hope this piece gave you a deeper appreciation for the sheer diversity of American drinking culture. Cheers, folks. Chris Kolmar is the chief armchair economist at Movoto.com. Dave Infante is a senior writer for Thrillist Food & Drink, and is getting really tired of Oregon. Follow @dinfontay on Twitter, Instagram, and Snapchat.